God called Father Glenn Meaux to build something astounding in Kobonal, and we want you to be a part of it! With your support, Fr. 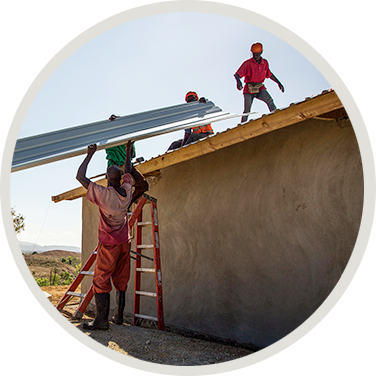 Meaux of the Kobonal Haiti Mission will be able to build sturdy homes and provide safe water to families currently living in crumbling shacks and relying on contaminated streams and rivers to meet their water needs. Keeping with his emphasis on Catholic formation, a new chapel will also be built to strengthen the Church’s presence among the poor. You have the power to dramatically change their lives and others like them. Join us in helping Fr. Meaux provide better housing and safe water for the people of Kobonal. 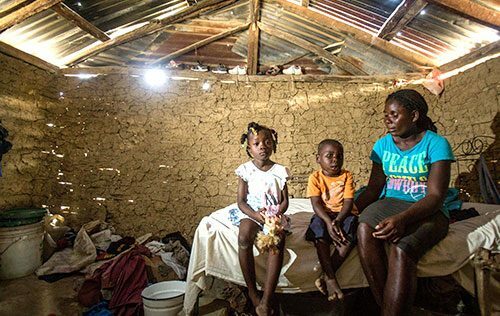 HOUSING: You will help build 80 hurricane-proof concrete houses, to benefit families currently living in makeshift shacks. WATER: You will provide funding for three community water wells to serve the daily needs of about 90 families. CATHOLIC FORMATION: You will make the Kobonal Haiti Mission an even more vibrant Catholic community through the construction of a new chapel. MISSION STRENGTHENING: You will help Fr. Meaux expand his vision beyond the boundaries of the village of Kobonal by supporting the Mission’s many ministries. Proceeds from this campaign will be used to cover any expenditures for Arise and Build incurred through June 30, 2019, the close of our ministry’s new fiscal year. In the event that more funds are raised than needed to fully fund the project, the excess funds, if any, will be used to meet the most urgent needs of the ministry.